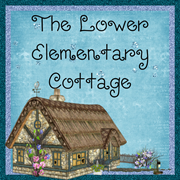 The Lower Elementary Cottage: Saying Goodbye to the Cottage and Hello to a New Adventure! Saying Goodbye to the Cottage and Hello to a New Adventure! Today I had to say goodbye to my cottage. It was the inspiration for naming my blog, so it's weird to leave it behind. 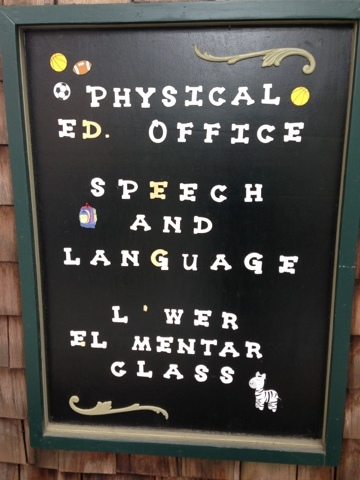 I've made some wonderful friends at this school, and I've learned so much about special education in the time I've been here. Today I handed over the key, the cottage is no longer my home away from home. 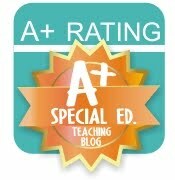 I have had mesmerizing students and amazing families to work with. I love them so much that I'm continuing to work with 1 or 2 of my students just because I want to this summer. My new school has less of a focus on autism and I just can't quite give up my autistic boys yet! I believe the plan is to tutor one kid and be a consultant for the other. My little genius boy needs ways to stay busy this summer so he doesn't drive mom crazy. I swear sometimes the smart kids are the most troublesome! It takes more to entertain their mind! This cottage has been the home of both my laughter and my tears in the last four years. Some tears were those of joy and pride when my kids did something amazing. Others were tears of frustration when I couldn't take just one more tantrum...then another kid screamed. But emotions are part of what makes a person a good teacher. It's those moments you cry, that make you realize how much you care about your students' success. I figure if I didn't care that my kids screamed and never learned anything, then I'd be a bad teacher. Caring is what makes me a good teacher. It's what makes me stay up an extra hour at night writing emails to parents to making one more learning activity for them while sitting on my couch in my PJ's. I will never forget the amazing teachers I've worked with at this school. While there are about a million things I wish were different here, my teaching team isn't one of them. They are the most helpful, caring, fun bunch of people to work with. They are the people who can make you laugh when you want to cry. They are the people who happily cover your class when suddenly get sick and you can't find a sub. It's time to say goodbye to the red tower, the stained glass front door, and the once cheerful sign that's now missing quite a few letters. Soon it will be missing the teacher that once called this classroom hers. So now it is time to say hello to a new adventure! There is no need to be sad today. There are new and better things to come. There is a 1st/2nd grade classroom waiting for me to move in. There is a bright and cheerful co-teacher named Lauren waiting for me to bring her all sorts of teaching ideas and materials. There is a whole new batch of kiddos waiting to meet their new teacher. I will be moving into my new classroom a week from tomorrow. Then my job officially starts the last week of June, followed by my new class the first week of July. So long little cottage, good luck with your new teacher who moves in. Treat my kids well when I leave. It's time for my new adventures to begin!